Since I spent about 3 year in Israel for internship in few hospital there, it came to my mind about doing thesis/research of "Why the Jews are Intelligent?" It goes without denial that Jews are ahead in all aspect of life such as engineering, music, science and most obvious in business where nearly 70% of world trade/business are held by the Jews such as cosmetic, fashion, food, arms, hotels and film industries (Hollywood and others). During the 2nd year, in December 1980, and I was about to go back to California, this idea came to me and I was wandering why God gave this gift/ability to them? Is this a coincidence or is it man-made that could be produced like the goods from a factory. My thesis took about 8 years to gather all the information as accurately as possible, like the food intake, culture, religion, initial preparation of pregnancy and etc and I would compare them with other races. Another thing I noticed, is about the food, she loved to eat almonds and dates with milk, for lunch she would take bread and fish without the head, salad mixed with almonds and other nuts, they believed fish is good for the development of brain and the fish’s head is bad for the brain. And also it is like the culture of the Jews for pregnant mothers to take cod liver oil. The food intake for the child is always under the guidance of the parent, first, the fruits with almonds, followed by cod liver oil. In my assessment, the Jewish child, most of them knew 3 languages, ie Hebrew, Arabic and English, since childhood they would be train in playing piano and violin, it is a must. Since grade 1 to 6, they would be taught business mathematics and science subjects would be their first preference. For comparison I could see the children in California, their IQ is about 6 years back. And Jewish children were also involved in athletics such as archery, shooting and running, accordingly it is believed that archery and shooting would make the brain more focus on decision and precision. Have you seen them how they prayed, they always shake their heads, accordingly they believed this action will stimulate and provide more oxygen to the brain, same thing with Islam where you need to bow down your head. In New York, the commercial/trading center for the Jews are based in New York, catering for the Jews only, if they had any beneficial idea, their committee will give free interest loan and will make sure the business prosper. Due to this, Starbucks, dell computer, Coca Cola, DKNY, Oracle, Levis, Dunkin Donut , Hollywood films and hundreds other businesses were under their sponsorship. Smoking will lead to generations of moron. During my visit to Singapore in 2005, made me surprised to see smokers are regarded as an outcast and the price of a pack of cigarettes is about USD 7, like in Israel it is a taboo and their form of government is similar to the Israelis. And that is the reason why most of their universities are of high standard, even though Singapore is only as big as Manhattan. Look at Indonesia, everywhere people are smoking, and price of a pack of cigarette is very cheap only USD0.70 cents. and the results with millions of people, you can count the number of universities, what product they produced that can be proud of, technology.. never… can they speak other than their own language, why it is so difficult for them to master English language for example, all this is due to smoking, think for yourself. In my thesis, I do not touch in respect of religion or race, why the Jews are so arrogant that they were being chased around since the time of Paraoh until Hitler, for me it is about politic and survival, the bottom line is, could we produce intelligent generations just like the Jews. The answer could be in the affirmative that needs change in our daily habits of eating, parenting and I guess within 3 generations, it could be achieved. This I could observe in my grandson, for example at the age of 9 he could write a 5-page essay on "Why I love tomato"
Does the world need to take notice? Re: WHY ARE JEWS SO SMART? Make all idiots convert to Judaism= No more idiots in the world. Oh, forgot, Goys(derogative term like kuffar to make a fellow human less human) can never become Jews. Religion is awesome, especially when it is passed on through the mother. After all, that's the only way you can become a Jew. I can not stop from helping to suggest how stupid this post is (No offense) especially since the author seem to probaly believe that there is a corelation between intelligence and Jews (adherents of religion). Some Jews aren't smart, and those that are often grew up in the West like Einstein. Their religion did not bring them where they are but rather the countries they grew up in. Many Jews also avoid becoming religious (and become atheists/agnostics instead of 'Jews') since they know that it will get them nowhere. I have seen Rabbi Jews saying some very primitive things. Many like to point out the fact that Muslims don't contribute anything of value (despite how incorrect this is) while Jews do. Do take into consideration that the majority Muslims still live in countries with terrible education, ethics and morals. But many Muslims in the West seem to do very well. So you see it is how good the country you live in is. But here I will 'give' you the benefit of the doubt. Convert to Judaism and see if your IQ actually increases while I laugh. :=) And Jews aren't God's chosen people. In response to the first option "Allah made them so".. A true God (Allah) would never make another people superior to others in terms of intelligence. He would create everybody equal. So please stop with this BS before more atheists laugh at the idéa of a God. But here I will give you the benefit of the doubt. Convert to Judaism and see if your IQ actually increases while I laugh. :=) And Jews aren't God's chosen people. A true God (Allah) would never make another people superior to others in terms of intelligence. He would create everybody equal. So please stop with this BS before more atheists laugh at the idéa of a God. There is no religion without arrogance. Supremacy is the backbone of religion. Kuffars(non-Muslims) and Goys(non-Jews). There would be no religion if everyone saw each other as fellow humans and not look down at each other and not see each other as Kuffar and Goys who are going to burn in hell for eternety. Religion makes its followers feel special. If religion does not makes its followers feel special, they'll all dump religion. People need something to feed their ego. Muslims: KUFFAR!!!! YOU WILL BURN IN HELL FOR EVER! ALLAH MADE PARADISE FOR MUSLIMS!! YOU MUST BE A MUSLIM OR BURN IN HELL FOR ETERNITY!!! Jews: GOYS!!!!!! WE ARE GODS CHOSEN PEOPLE!! GOD CHOSE US AND GAVE US THIS LAND!! I CAN CHARGE YOU INTEREST! I AM BETTER THAN YOU GOYS! GOD MADE PARADISE FOR JEWS!!!! YOU MUST BE A JEW OR BURN IN HELL FOREVER YOU SUBHUMANS!!! GOD CREATED YOU FOR ME!! Christians: YOU INFIDELS!!!!! TAKE JESUS AS YOUR LORD AND SAVIOUR OR BURN IN HELL FOR ETERNITY!!! WE ARE GODS CHILDREN!!! JESUS LOVES US!!! HEAVEN IS FOR CHRISTIANS!!!!! !! I can not stop from helping to suggest how stupid this post is (No offense) especially since the author seem to probaly believe that there is a corelation between intelligence and Jews (adherents of religion). Some Jews aren't smart, and those that are often grew up in the West like Einstein. Their religion did not bring them where they are but rather the countries they grew up in. Many Jews also avoid becoming religious (and become atheists/agnostics instead of 'Jews') since they know that it will get them nowhere . I have seen Rabbi Jews saying some very primitive things. Many like to point out the fact that Muslims don't contribute anything of value (despite how incorrect this is) while Jews do. Do take into consideration that the majority Muslims still live in countries with terrible education, ethics and morals. But many Muslims in the West seem to do very well. So you see it is how good the country you live in is. Forgot to continue this - Black: .. if they remain as Jews. You are correct on highlighting the similarities between the religion of the Semites, or religion who are originated / founded on Semitic culture. However, not all religion are 'supremacist'. The next question will be: Why and How the semitic religion turned into supremacist ideology? ...the Quran is the only spiritual/sacred text in the world that states that the followers of other religions can be rewarded with paradise in the next life. This suggests that islam is a just, tolerant and inclusive deen (way of life). In my view, islam is the most just, tolerant and inclusive deen (way of life) in the world. The teachings of the Quran seems to surpass the teachings of all other spiritual/sacred texts in the world. The Quran suggests that the followers of others religions/faiths and spiritual systems (e.g. new age) can be rewarded with paradise in the next life. Quran 2:62 VERILY, those who have attained to faith [in this divine writ], as well as those who follow the Jewish faith, and the Christians, and the Sabians - all who believe in God and the Last Day and do righteous deeds - shall have their reward with their Sustainer; and no fear need they have, and neither shall they grieve. Quran 3:113-115 They are not all the same, from the people of the book are an upright nation; they recite God's signs during parts of the night and they prostrate. They acknowledge God and the Last day, promote recognized norms and deter from evil, and they hasten in goodness; these are of the reformed ones. What they do of good will not be turned back, and God is aware of the conscientious. Quran 3:199 Among the people of the book are those who acknowledge God, what was sent down to you and what was sent down to them. They revere God and they do not purchase with God's signs a cheap price. These will have their reward with their Lord. God is quick in computation. Quran 4:162 But as for those from among them who are deeply rooted in knowledge,176 and the believers who believe in that which has been bestowed upon thee from on high as well as that which was bestowed from on high before thee, and those who are [es­pecially] constant in prayer, and spend in charity, and all who believe in God and the Last Day - these it is unto whom We shall grant a mighty reward. Quran 5:65-66 If the people of the book only would have acknowledged and been aware, We would have cancelled for them their sins and admitted them to gardens of paradise. If they had upheld the Torah, the Injeel, and what was sent down to them from their Lord, they would have been rewarded from above them and below their feet. From among them is a pious nation, but many of them commit evil. Smoking will lead to generations of moron. His two prized possessions were his violin and his pipe, and his reliance on the latter "bordered on dependency". When forbidden from smoking by his doctor he would sneak out and collect cigarette "dog-ends" from the street to fill his pipe. "It's a rather sad anecdote," said Peter Smith, the author of the biography Einstein. Many educated Jews who came to Israel were from the West. Israel understood it would come nowhere without those Jews which is why it wanted them in Israel rather than in the West. Some Israeli Jewish politicians are known for their racism towards non-European Jews because they considered them useless. Basically the European Jews would bring what they learned in the West along with them and contribute to Israel instead. But the fact remains their education was given in the West and not in Israel. Crediting Judaism based on inventions made by European Jews is like crediting Islam for the Islamic Golden Age despite the fact that the majority scientists were not even Muslims during that time and many were even critical of Islam hence there is no relation between both. 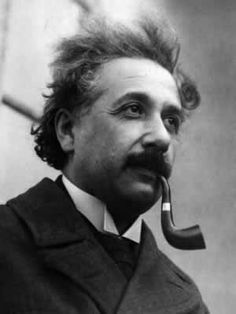 People like Einstein is more thankful to Europe and the US for the education and support he got than Israel which played no role. I also feel that "They make themselves so" is a stupid option because you cannot really say 'they'. To say 'they', you would be assuming that all Jews are smart despite how incorrect this is. The majority are probaly not smart.. And those 'Jews' who are, are also smart enough to consider themselves agnostic or atheist instead of 'Jew'. But keep believing that Allah made them smart (assuming you do).. It is really delusional. If anything these same 'Jews' actually give God the middle-finger. This is so true. Most religious people I see are really stupid and delusional. There are Muslims, Jews and Christians who actually believe that today's Israel was a gift by God and that Jews are some kind of a blessed people. Now I'm really curious what do they mean by blessed? Was the millions of Jews who died during WW2 a 'blessing' too? If that is the case, I might as well revert back to paganism(Islam) If I'll end up in paradise with the Muslims, Jews and Christians. We share the same fate, so why not do what they do? The verses you quoted confuse me all the time since I am certain that religion brings nothing but delusion and misery. How can paganism take you to paradise? What is the point of searching for the truth then? If you treat God, and the World for that sake, in hedonistic terms then you are a Pagan by definition. It does not have anything to do with idolatry. When you objectify something separately from God then this is Paganism even if it is the actual God phenomenon. God is everything which you are an expression of. Question is if you come alive or not, gain self-consciousness within God or remain a slave to the "automated" system, i.e. the instinct and preset behavioral patterns of the "Flesh". Such is the Rabb's information elaborately precise. Pagan is a misunderstood term. And it originally stems from Jinn. Pa-Jann albeit with ancient Greco-Roman grammar prefix on it. Al-Jinn in Arabic means "the bodily". When one is hedonistic they are Pagan, by definition. Simply because they are run by human beings. 2) they stick together and help eachother. * A label will of ofcourse not achieve anything. * A religion will not achieve anything. * And, what you believe about yourself will greatly determine how you turn out. If you name me, you negate me.